Weber, J. (2014). Transcendental Meditation in America: How a New Age Movement Remade a Small Town in Iowa. Iowa City, IA: University of Iowa Press. 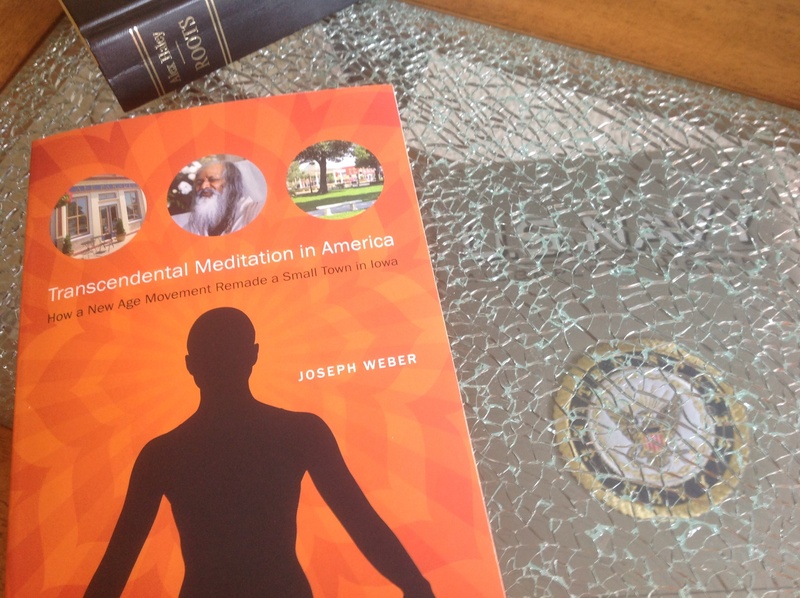 Joseph Weber’s “Transcendental Meditation in America” exhumes the emotions and mindset of many people ensnared in the whirlwind of Maharishi Mahesh Yogi’s influence — largely what I consider the socio-political fall-out from Maharishi’s propagation of the Transcendental Meditation technique. Webber intuitively frames the book on objective standpoints that span beyond the facade of enlightened perfection to which the TM movement stakes claim, and fleshes out the book with a flood of data, statistics, and compelling first hand accounts of the collateral damage obstructing the life, liberty, and pursuit-of-happiness of too many citizens in Fairfield, Iowa, and beyond. I consider the book a what-you-need-to-know guide to approaching all things Maharishi Mahesh Yogi, and encourage anyone associated with — or considering associating themselves with — any Transcendental Meditation (TM) enterprise such as Maharishi University of Management (MUM) to give it a read. I find the underlying fear of Maharishi Vedic City’s rapidly approaching collapse quite compelling in consideration of the architectural residue that will inexorably remain in wake. (Weber, 2014, p. 189) In my opinion, collapse gives rise to the burst of a Vedic Housing Bubble as lending institutions — desperate to recover loans — are forced to short-sell an entire city, perhaps bankrupting neighboring towns in the process. I sometimes envision tractors pulling chain bound kalashes from roof-tops much in the likeness which the statue of Saddam Hussein was toppled, in Firdaus Square Bagdhad, April 9th of 2003. Statements of this nature, by Morris, seem statistically ill, a fallacy of division; confusing truth about the whole with the truth about all or some of the parts. While the nation might harbor murder totals near 16,000 people per year, but an unfortuante share are university students. While many universities enroll 10,000 – 100,000 students per year, Maharishi University does well to breach an enrollment of 600 student’s per year. (Weber, 2014, p. 61) I’d rather be one student of 10,000 or 100,000 in the event Morris’ common-every-day-force-of-violence readys to strike. As Jim Carrey so eloquently orated at Maharishi University of Management’s graduation commencement address “So many of us choose our path out of fear disguised as practicality…”, perhaps Jim excludes the possibility that some choose — at times — a path based on logic, stats, and real-life odds. There are too many accounts to exclude the possibility reality that both positive and negative outcomes from experiences with Transcendental Meditation harbor some degree of truth — in my opinion, there’s too much negative truth to justify the positive truth. Perhaps it’s not that 50% of accounts of Transcendental Meditation related experiences are positive, it’s more a matter that 50% of the accounts are negative — and in either grade book I fear 50% is a “F”ailure. 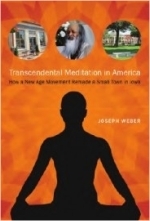 Much like MUMOSA.com -- and unlike the TM Movement -- Weber invites readers to weigh-in with their own opinion as he highlights many arguments in favor / against Transcendental Meditation's pursuits. But alas the facts are compelling.